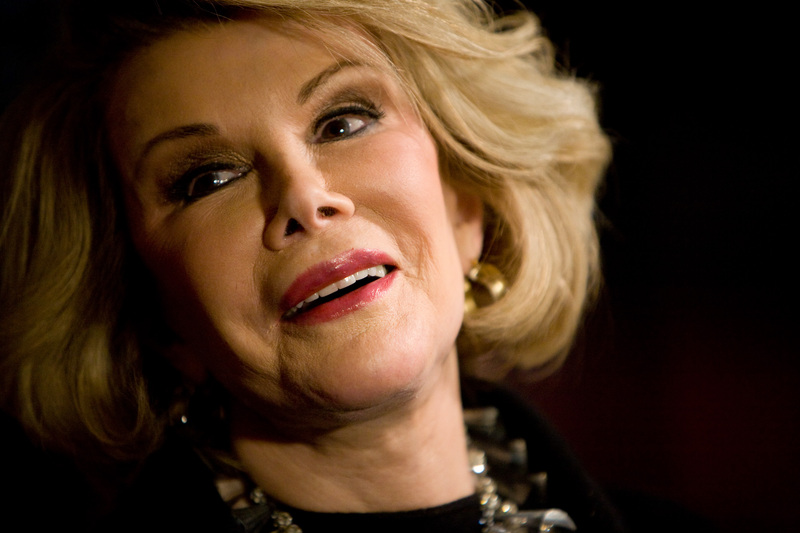 On Sunday morning, friends and family gathered at Joan Rivers' funeral to celebrate the life of the comedy diva. The service took place at a Jewish temple in Manhattan, where A-listers and celebrities like Barbara Walters, Donald Trump, Kristin Chenoweth, Whoopi Goldberg, and Kathie Lee Gifford joined together to say goodbye. USA Today reports that about 500 fans and spectators stood outside the temple before the service while family and celebrity friends including Sarah Jessica Parker, Andy Cohen, Kelly and Ozzy Osbourne, Giuliana Rancic, and Howard Stern, among others, arrived at Rivers' private funeral. Stern reportedly gave an emotional speech to commemorate Rivers, and said "She was responsible for putting the red carpet into prime time." He also called her "the best friend in the world … a big sister ... a crazy aunt at Bar Mitzvah." "When I die (and, yes, Melissa, that day will come; and, yes, Melissa, everything is in your name), I want my funeral to be a huge showbiz affair with lights, cameras, action...I want Craft services, I want paparazzi and I want publicists making a scene![...] I want to be buried in a Valentino gown[...]I want a wind machine so that even in th casket my hair is blowing just like Beyonce's"
Though the service was missing a wind machine and an actual red carpet, People reports that Rivers' funeral was truly an A-list affair with performances by the New York City Gay Man's Chorus and Broadway star Audra McDonald. Rivers' funeral service seemed to be a true celebration of her unstoppable energy and work ethic, and the impact she made on celebrity friends and fans alike.